Team dysfunc tion is rampant and it creates a boatload of work for everyone. Doing little things consistently to assure your staff they are valued (assuming they are!) and to demonstrate the culture you desire can go a long way towards changing the dynamic and tone of your team. 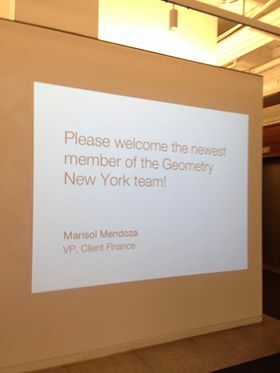 Consider this sign that welcomed a new staffer, Marisol, on her first day. She was thrilled, it reinforced her decision to come on board, and staffers knew to seek her out to introduce themselves. And it cost what, $20? Assign someone on your team to routinize activities for things like welcoming new staffers, celebrating and communicating promotions and departures, and creating holiday celebrations. Make sure there is backup if that person leaves. Regardless of how crazy work gets, try to make at least a cameo appearance at team events to show your buy-in. Let’s not make work harder than it has to be.